We sometimes think that there is fundamental stability in the social world, or at least an orderly pattern of development to the large social changes that occur. When there are crises — like the financial crisis of 2008 or the riots in London and Stockholm in the past few years — we often try to understand them as deviations from the normal. These are ontological assumptions about the nature of social change. But really, our desire to perceive order in the things we experience often deceives us. The social world at any given time is a conjunction of an enormous number of contingencies, accidents, and conjunctures. So we shouldn’t be surprised at the occurrence of crises, unexpected turns, and outbreaks of protest and rebellion. It is continuity rather than change that needs explanation. Social processes and causal sequences have a wide range of profiles. Some social processes — for example, population size — are continuous and roughly linear. These are the simplest processes to project into the future. Others, like the ebb and flow of popular names, spread of a disease, or mobilization over a social cause, are continuous but non-linear, with sharp turning points (tipping points, critical moments, exponential takeoff, hockey stick). 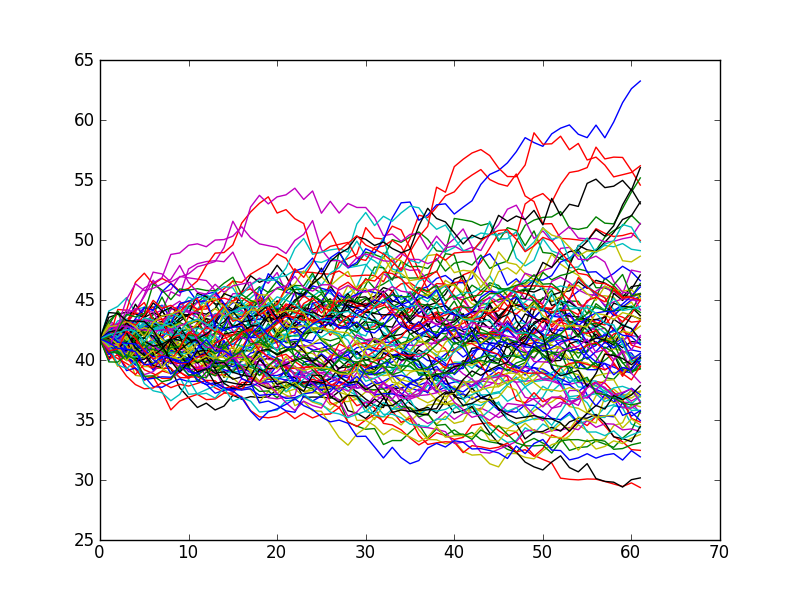 And others, like the stock market, are discontinuous and stochastic, with lots of random events pushing prices up and down. Take unexpected moments of popular uprising — for example, the Arab Spring uprisings or the 2013 riots in Stockholm. Are these best understood as random events, the predictable result of long-running processes, or something else? My preferred answer is something else — in particular, conjunctural intersections of independent streams of causal processes (link). So riots in London or Stockholm are neither fully predictable nor chaotic and random. The fact of growing discontent and unemployment among young people is certainly relevant to the rioting, but many other outcomes were possible — even up through several weeks prior to the outcome. Those background conditions increased the likelihood of civil unrest without making it inevitable. The immediate spark of the Stockholm rioting — the instigating event — was a police shooting of an elderly man (link). This shooting didn’t have to occur, and if it had not, the rioting would not have started at that time. Moreover, when social tensions rise, various organizations come forward to address the underlying causes of unrest. Organizations focused on improving employment opportunities for young people, improving the quality and civility of policing, and improving social services can have the effect of reducing the likelihood of an outbreak of civil unrest and violence. So social outcomes are subject to a degree of strategic, intentional intervention on the part of individual and collective actors. Or take the emergence of a novel ideological or religious movement — for example, the Tea Party in the United States or the millenarian Buddhist movements that periodically swept through Late Imperial China (Susan Naquin, Millenarian Rebellion in China: Eight Trigrams Uprising of 1813; D. Little, Understanding Peasant China: Case Studies in the Philosophy of Social Science). Historians and sociologists can enumerate some background social or cultural conditions that were propitious to the emergence of movements like these in the times and places where they occurred. But when we study movements like these we almost invariably find meaningless contingencies that were crucial to the progress of the movement in its historical circumstances — an especially charismatic leader (Zuo Zongtang in the Taiping movement), a new technology of transportation or communication that showed up on the scene, a period of harsh drought or flooding that led rural people to be more amenable to mobilization around an unfamiliar ideology. Social change is contingent and conjunctural. In other words, social outcomes are always the result of a complex mix of influences. There are some broad underlying social causes that are relevant to the outbreak of civil unrest or ideological change; there are semi-random events that may serve as a flashpoint stimulating an outbreak; and there are countervailing efforts and strategies that are designed to reduce the likelihood of civil unrest or the spread of heterodox ideas. And this demonstrates that these classes of social phenomena are fundamentally indeterminate; they are best understood as being the consequence of a conjunctural set of processes and events that could have unfolded very differently. The idea of a Monte Carlo simulation represented in the image above is a valuable tool for thinking about social outcomes. Instead of looking at social processes as single pathways from initial conditions to predictable outcomes, we should instead think of a whole ensemble of scenarios that run forward from a certain starting point, in which we introduce variation in many of the parameters and look at the broad range of outcomes that might have ensued.